Posted byBramus! 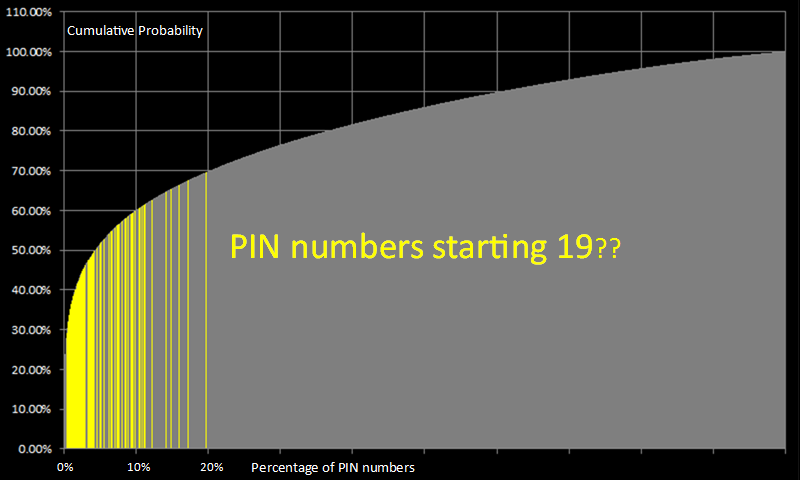 September 24, 2012 September 24, 2012 Leave a comment on What is the least common PIN number? People are notoriously bad at generating random passwords. I hope this article will scare you into being a little more careful in how you select your next PIN number.